Tough metal construction. 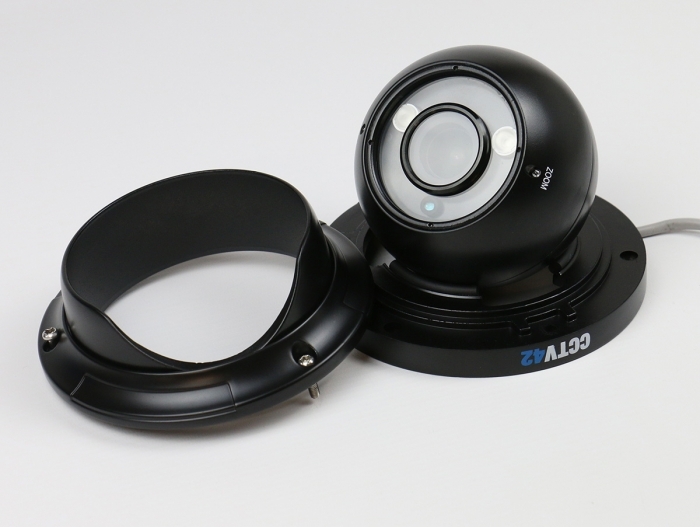 Easier to install and position than a traditional vandal dome camera and with improved infra red performance. Available in black or white body. 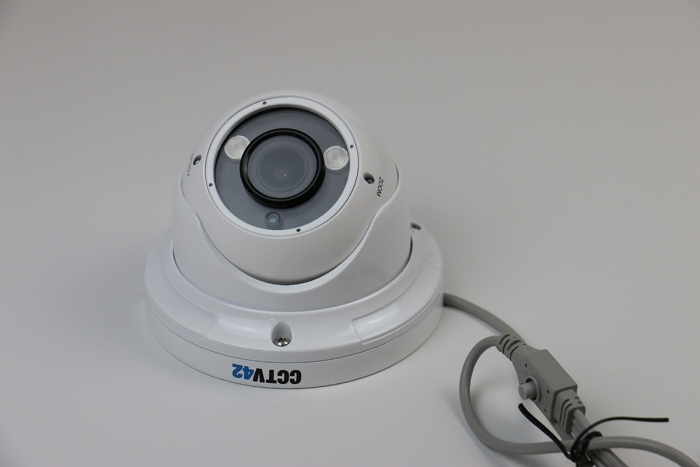 This 2.8-12mm open faced dome camera features a versatile vari-focal zoom lens. 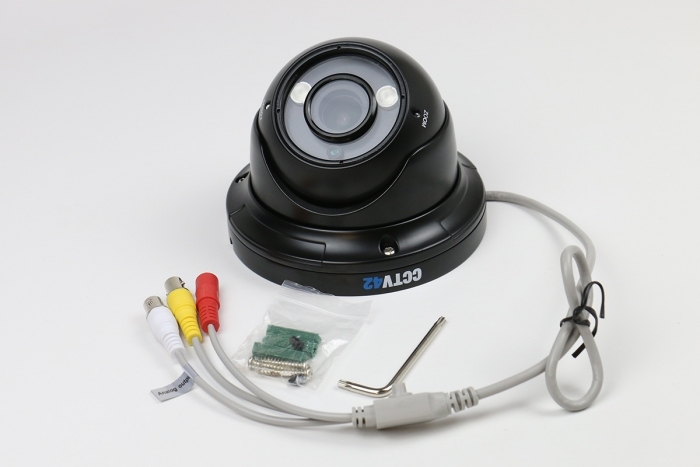 At its widest setting (2.8mm) the camera films approximately 90 degrees angle of view making it suitable for genral purpose overview applications. 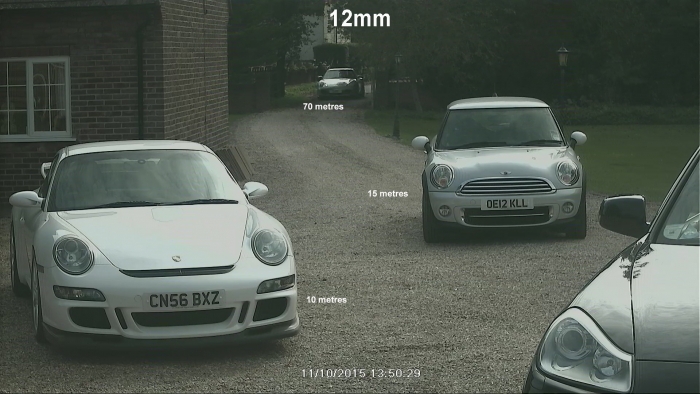 Fully zoomed in (12mm) it films approximately 25 degrees angle of view and can identify someone up to approximately 15 meters away. 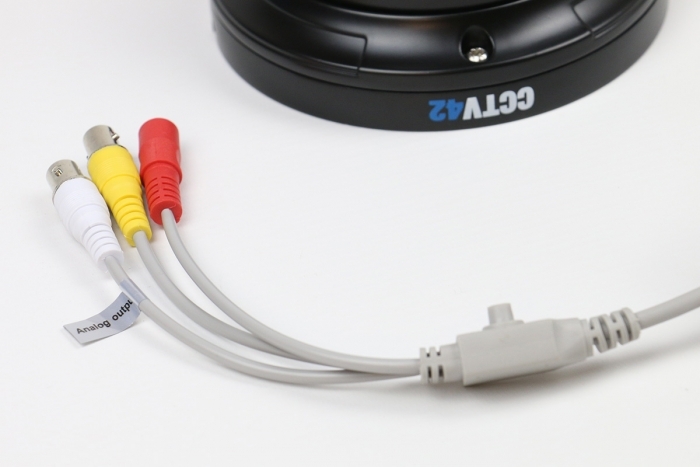 Zoom and focus adjustment is made on the front of the camera using a small screwdriver. 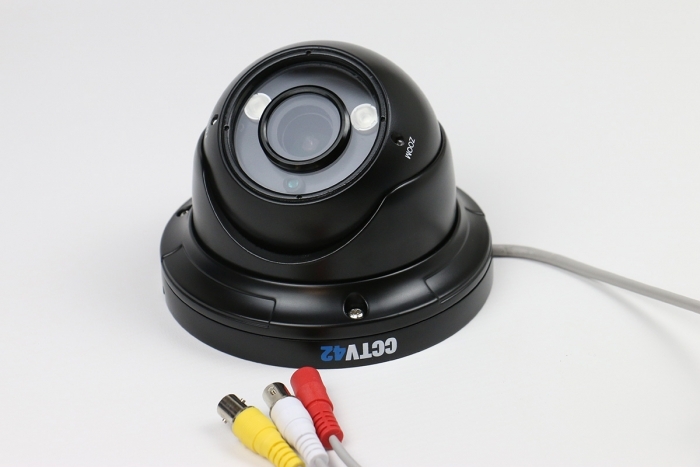 The camera is supplied with rubber plugs to make the adjustment openings weatherproof. 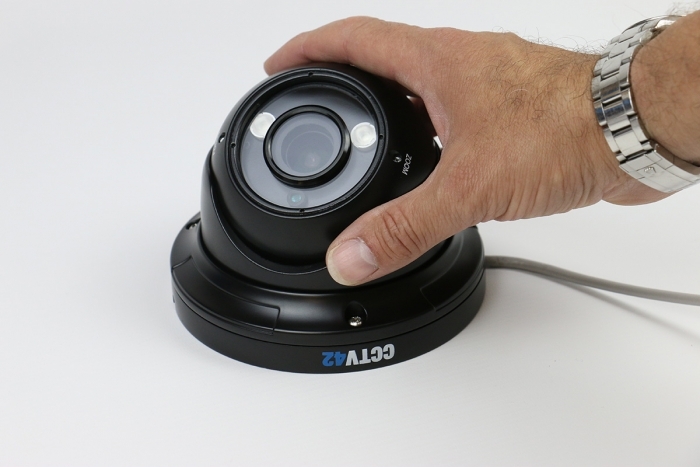 The camera is supplied with a tool for the tamper resistant fittings which hold the electronics in place and allow the camera to be infinitely adjusted. 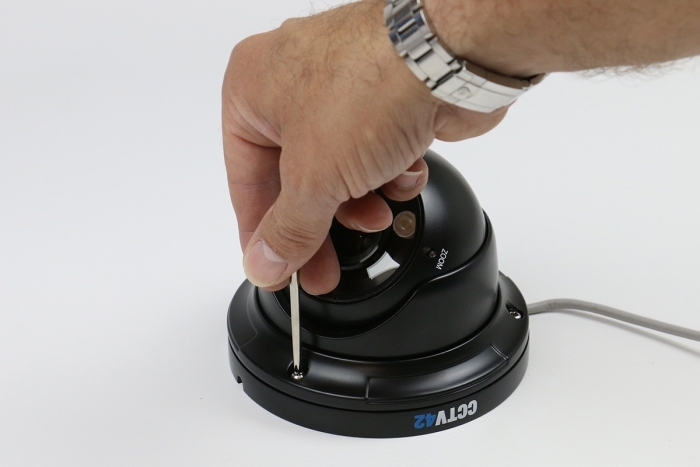 It can be mounted on horizontal or vertical surfaces. 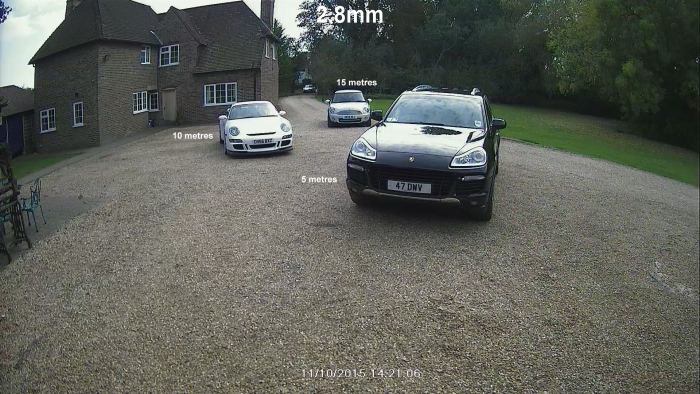 Built in high power generation 3 infra red leds automatically switch on as light levels fall and the cameras changes from colour to black and white filming.